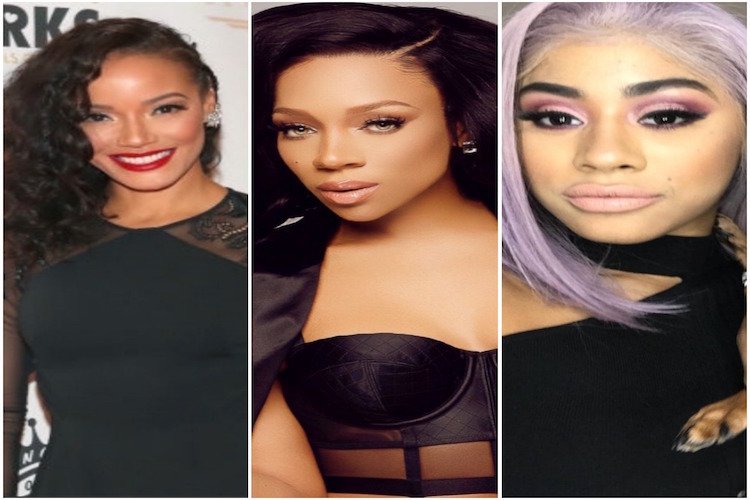 What do model Selita Eubanks, singer/actress Lil Mama and Hennessy – Cardi B‘s lil sis – have in common? They’re all appearing on MTV to star in a star-studded version of The Challenge. This epic ten-week special event – The Challenge: Champs vs. Stars – features ten celebrities and all-star athletes along with ten highly skilled, fan-favorite champions from past “Challenge” seasons. For the first time ever, teams will be mixed with both celebrities and “Champs” where they will face off in weekly eliminations until one team will prove they are the ultimate “Challenge MVP.” Winners will compete for a chance to take a share of the $150,000 cash prize to donate to their beloved charities. Who are the ladies playing for? Lil Mama for Man Up! Inc.; Hennessy Carolina for BronxWorks and Selita Ebanks for New Yorkers for Children. The Challenge: Champs vs. Stars premieres April 17 on MTV. Watch a sneak peek below. DISH! Christina Milian Reveals Why She & Lil Wayne Ended! Two New Housewives Shows Are Coming!